We also specialize in painting churches. Ask us for a list of the local churches we have painted. Please call for an estimate at no cost or obligation. 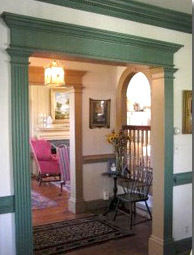 With Winkler Painting, you can count on the best painters working on your home. The staff is highly trained and skilled craftsmen who are full time Winkler employees. 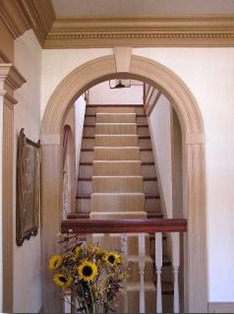 Often other painting companies hire temporary help to cover their jobs, but not Winkler. 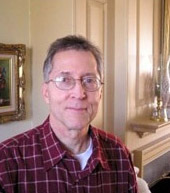 Most of the staff has been with Rich Winkler for five to twenty years. Winkler has a large staff so they can cover any size job. Winkler has four professional crews, two that work in Washington D.C. and Maryland, and two crews that work in Northern Virginia. The crews are keenly aware that keeping your home clean is of utmost importance. They cover everything with fresh plastic drop cloths, and each of the four trucks is equipped with a vacuum cleaner to clean up jobs. Each crew has a foreman, and each foreman is as particular about the work as Rich is. Rich Winkler has been painting houses, inside and out, since 1971. He started while he was in college, and now he has been in the business for 34 years. If you ask Rich why he decided to have his company specialize in top quality work, as opposed to doing inexpensive and lower quality work, Rich will explain that he is a perfectionist. If you use a company that does lesser quality work and uses lower quality paint, you may need to have a repaint job in two or three years. Rich says to expect his high quality paintwork to last six or seven or eight years. Winkler is proud of the expert wallpaper hanger and the expert carpenter he provides when necessary. Rich Winkler is happy to provide a free estimate with no obligation. Winkler requires progress payments along the way, with the balance due upon completion. The old paint surface must first be power washed to remove dirt, mildew and algae. This will help insure that the new paint will stick. A proper paint job requires that the old paint be stripped where needed. Anywhere there are paint problems the Winkler painter must strip down the surface to the bare wood. A Winkler paint job is an investment in your property. Rich explains that once you have your surfaces stripped down to the bare wood, you will probably not have to strip like that again in your lifetime. Winkler works closely with electricians, plumbers, faux finish experts, plasterers, drywall repairers, gutter repairers and cabinet makers. Richard Winkler can refer you to the experts that he trusts and works with. The key to achieving a high quality, long lasting paint job, both on interior and exterior work, is in the preparation. 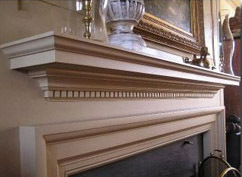 Winkler Painting exerts the greatest effort in restoration: scraping, heavy and fine sanding, repair of imperfections in plaster and drywall, removal of heavy paint buildup from problem areas (such buildup often causes alligator scaling and peeling), restoration of window glazing and caulking. If you are interested in high quality workmanship with attention to preparation and detail, please call Richard Winkler directly for an estimate on your painting and decorating needs. You will find him and his skilled crews to be very courteous and reliable craftsmen to work with. 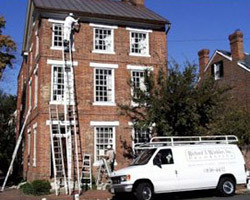 Rich Winkler has been a painting contractor since 1971 and has many happy customers all around the Washington DC area, including Chevy Chase, Bethesda, Potomac, Alexandria, Arlington, McLean, Falls Church, and Great Falls. "Richard T. Winkler Inc. has just finished painting two houses that I own in the City of Alexandria, Virginia. The first being my rental property on Wolfe Street in Old Town and the second, my personal residence on South View Terrace. In both painting projects Winkler’s work quality is impressive. 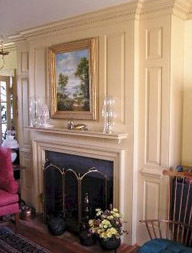 Winkler employs a quality team of professional painters. Winkler’s team spent at least twice as much time in preparing the siding of our houses for painting as compared to any previous painters we have had and they did a few little extras such as touching up the shutters at the rental property. We have had several neighbors comment on what a great job our painters did. The end result is beautiful houses that we are proud of. "After living in our home for nineteen years, my wife and I finally had the interior of our home painted by Richard T. Winkler, Inc. Necessary as the painting was, this was something we had been facing with some dread. While preparing for and living through a major paint job is perhaps not the most pleasant experience on the planet, I can’t imagine how we could be any happier with the job itself. 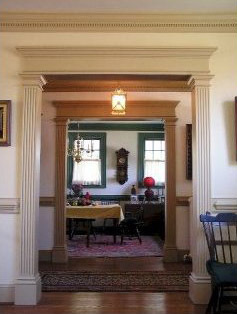 In preparation, we were guided by you to consult with a color specialist who proved invaluable and helped us immeasurably in guiding our choices, with particular recommendation about things that would not have occurred to us – such as considering how the colors in adjacent rooms worked together, and suggesting lightening the colors of angled walls alongside dormer windows. The team of painters, led by Amilchar, are not only the hardest-working craftsmen I’ve ever encountered, they are true artists and artisans. In preparing rooms they have been meticulous in moving and protecting furniture, and carefully covering and taping cabinets, doors, closets, and stairwells to keep all spaces not being worked on as clean and dust-free as is humanly possible. Repeatedly, we have come upon them while they’re sanding moldings, patching and re-plastering old cracks and imperfections, scraping away old paint from various metal fixtures and hardware. Things are continually brought to our attention that we had not considered; the decisions are always ours, but if asked they have clear and logical recommendations and suggestions. Amazingly, when a room is completed, it is cleaner than it has ever been, as they dust and clean furniture before returning it to its original spot – how they remember so exactly where everything is to be returned, I’ll never know (including stuffed animals on top of a bedspread).